Image: Where have all the young women gone? 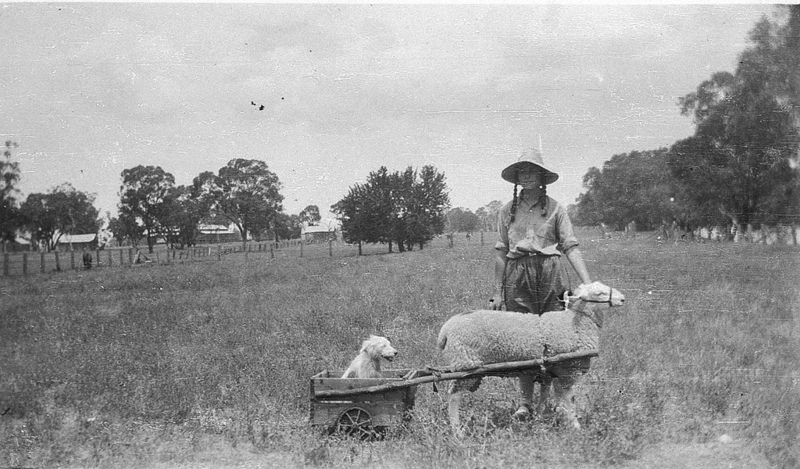 Yap Yap (dog) pulled in a cart by Achong – Trundle, NSW, by an unknown photographer, from the State Library of New South Wales with no known copyright restrictions. While Australia’s population is estimated to increase from 23 million to 38 million by 2050, the population of many rural areas is in a steady decline. Subsidised housing and education, and improved services offer the key to regional growth, according to a report unveiled at The Nationals conference earlier this month. The report, presented by Senator Bridget McKenzie – suggests that making regional life more affordable would attract locals to return to country areas, and encourage migrants to settle outside cities. Despite the fact that recent growth in coastal areas, mining regions and areas surrounding cities has been strong, inland and outback regions suffer more commonly from a declining population. According to the Regional Australia Institute, the key to driving migration to regional areas is to focus on three key groups – super boomers, International migrants and regional returners. While this may provide growth to regional centres, many smaller rural communities struggle to attract new residents. In Lucindale, South Australia – a highly productive and profitable grazing and cropping region – there is a shortage of potential spouses for local growers. While there are 15 eligible bachelors between 25-34 in the town, there are no single women in the same age group. Local Luke Graetz – a 30-year-old farmer who also manages the family stock and station agency – is one of the 15 single men lamenting the lack of potential partners. Despite the region offering an attractive lifestyle, the increasing size of farms in the district has reduced the local population – and with it – eligible bachelorettes. ‘It’s a good little spot but as you say, there aren’t too many young females around. I’ve got a lot of connections in Adelaide but footy and business keep you home in winter. The footy and netball club, that’s cranking,’ he said. ‘The big farms are getting bigger. Once there would be five 2,000 acre properties, now there is one 10,000 acre property that has taken its place’. Residents in a tiny outback town in New South Wales tackled population decline head-on through the Trundle Tree Change program, which offered new residents the chance to lease one of ten empty farmhouses for just $1 a week. During the Millennium drought, Trundle’s population dropped by one-third with significant consequences on the local community and economy. Half the local shops closed, and the school was in danger of closing due to low enrollment numbers. The tree change initiative invited applications from people looking to move to Trundle, pairing ten families with ten empty farmhouses in an effort to boost the local population. Five years on and all ten farmhouses are still leased, with additional empty homes having also been filled. The town’s population has increased to 750 – higher than the pre-drought figure of 580. Unemployment is low, vacant residential properties are scarce and sporting teams have been rejuvenated thanks to the influx of new residents. The main street, which has undergone extensive community-funded upgrades – is now home to several new businesses including a chemist – a service that has been absent from the town since the last one closed up shop in 1976.